Leyla Kiralp was supposed to attend the conference in Brussels where Secretary General of AKEL, Andros Kyprianou and leader of CTP, Mehmet Ali Talat were speakers. She did not notice until she was about to get on her plane from Larnaka to Brussels that her Cypriot identity card had expired! She could not get on the plane and go to Brussels. She had been asked to say something about `missing persons` at that meeting in Brussels so she had written her speech. Although she could not go to the conference, AKEL MEP, our dear friend Takis Hadjigeorgiou, read excerpts from her very powerful speech at the conference. 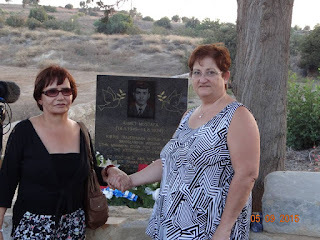 I want to share her speech with you because I think it reflects the feelings of many relatives of `missing persons`, both Turkish Cypriot and Greek Cypriot.